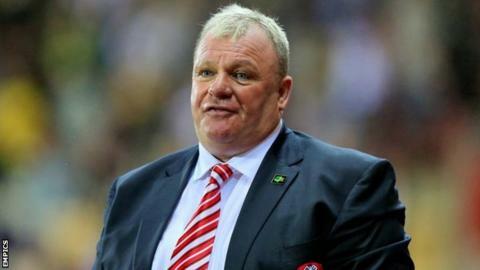 Rotherham United will prove "the numpties" that criticise the club wrong, manager Steve Evans says. The Millers' 2-1 home win over Cardiff on Saturday was their first league victory of the season, although they remain bottom of the Championship. But Evans, who earlier this month said he did not fear the sack, believes the performance will have silenced critics. "Cardiff were full of quality and we gave them a bit of a hiding," Evans, 52, told BBC Radio Sheffield. "We're getting people fit so the numpties out there - there are a few that moan and groan - will realise it takes a bit of time when you bring players together to get a style and people ready to play. "If people phoned up and said we were anything other than fantastic against Cardiff then they are Sheffield United or Sheffield Wednesday supporters."